In October, we celebrate one of our favorite breeds on National Pit Bull Awareness Day. The annual event was started by Bless the Bullys in 2007 to bring positive media attention to these special, and misunderstood, dogs. You can find events near you at BestFriends.org (also check out Petfinder’s own event calendar). Want to do more? Adopt a Pit Bull. Pit Bulls are devoted, affectionate and joy-inducing pets with as great a range in personality as any other breed. As with dogs of any breed, not every Pit is perfect for every family. Read more about things to think about if you’re thinking of adopting a Pit Bull. Volunteer with Pit Bulls. At many city shelters, Pits and Pit mixes make up the overwhelming majority of the canine residents, and because Pits have been bred to bond closely with humans, the isolation of shelter life is particularly hard for them.You can visit the shelter to help exercise and socialize the dogs; open your home to a foster dog; photograph and write bios for local adoptable dogs’ Petfinder profiles; start a bedding drive at your office to collect old blankets and towels to donate … the possibilities are endless. For more ideas, read our article on volunteering or visit BAD RAP’s How You Can Help page. Help Pits find homes. 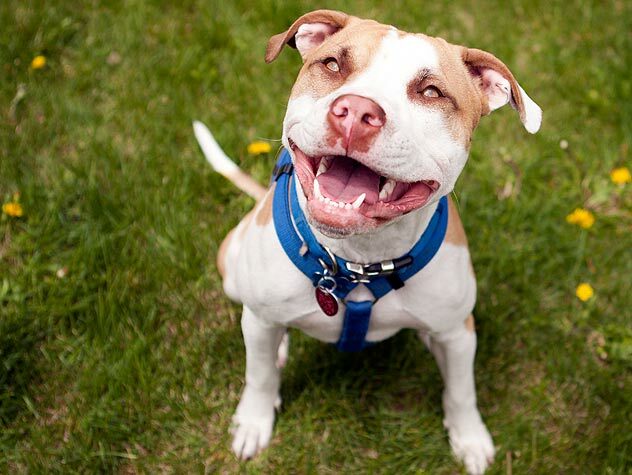 Add an adoptable-Pit Bull search widget to your Web site or blog, e-mail individual adoptable Pits to your friends or share them on Facebook or Twitter.